A big mistake we make when we start blogging (or even when we are years into the game *cough*) is that we aren’t consistent. We don’t use a consistent voice, aesthetic, posting schedule, and most of all we don’t post on consistent topics. I’m point a big ole finger right at myself here. Me, the ‘mom blogger’ who started out thinking she would ‘write about whatever, about life’. Not only would my audience not really know what they were sticking around my site for but it would become a big hassle just to write a post. Mostly because my stay at home mom life would become generally boring. Also because this strategy left me swirling around headlines in my mind waiting for that total Don Draper moment where he gives the ‘out-of-the-park and into the cosmos’ pitch, slams his whiskey, and exits the room. So what was I writing about? I needed a theme for my site, which most people will call A NICHE. On the deepest level your niche is you and your story. If your niche isn’t a reflection of your real life, your true interests and passions, then you will struggle with authenticity and the facade will eventually peel off. On the surface a niche is described by the few keywords that sum up who you are and the content you create. It seems many of us struggle with committing to a niche. We want the freedom to wander all possible audiences and genres. However, a theme can greatly improve your blogging/business and your reader’s or client’s experience. 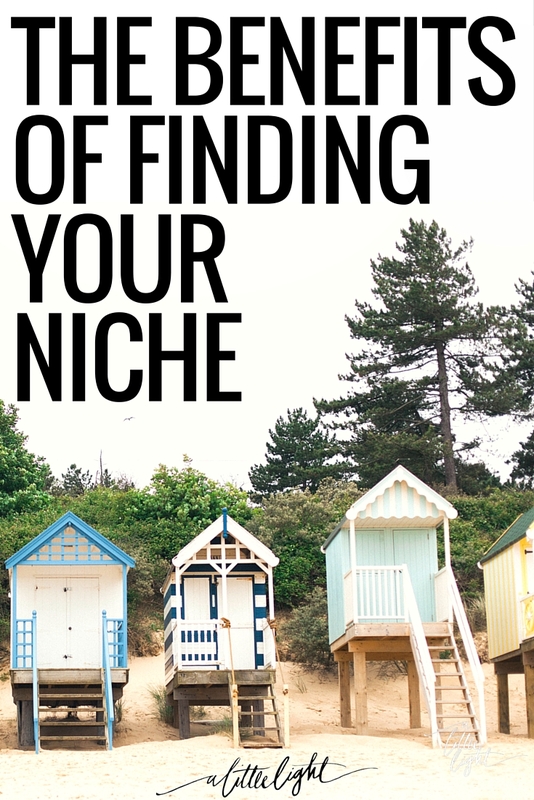 Finding a niche will feel tedious but it will have some notable benefits . . . Content creation is easier. Writing blog posts will be easier because you almost can write about any topic as long as you give it that theme angle. If you are a ‘Canadian green mom’ then all your content – whether it be toys, outings, clothes, food, crafts, DIYs, etc. – can be through the lens of being a mom looking to keep things green and local to Canada. You can target a niche reader. It is nice to think your blog is appealing to anyone, but people have too many choices out there to read something that is generically appealing. They want something specific that aligns with a need, believe and/or passion in their life. People are reading your posts to get something you have to offer them, whether it is practical advice, inspiration, entertainment, information, etc. It allows you to grow your tribe. You can join link ups, pin collaborative boards, us hashtags and join twitter chats related to your theme. This gives you a chance to zone in on some fellow bloggers that can become part of your tribe or help form a mastermind group. It helps with monetization. Having an angle to bring to a brand makes you stand out. It helps them envision a new way to market their product to a targeted audience, your audience. For example, if you are a ‘travelling’ ‘montesorri’ family blogger you could team up with a company that makes custom monogrammed luggage and write about how they make travelling easier and get your kids being responsible for their own luggage. It helps you serve your audience. Knowing your reader/client is hailed as the keystone of being a successful writer/blogger/marketer/server/anything. If you have a ‘retro-design crocheting’ site then you already know your readers are passionate about retro design and crocheting. This helps you to write in a tone and pace that serves this specific audience. It increases your SEO. It means you show up higher on Google for searches, because you are pumping out lots of quality content around the same keywords. Google wants to show search results of pages from sites with ‘authority’ and ‘expertise’ so writing on consistent themes will improve your credibility for your niche. It keeps you committed. At the end of the day, choosing a niche means committing. In my experience, pinpointing and committing to my niche helped me zone in on this aspect of my lifestyle. The niche became a source of accountability and encouragement for my life. In a way, it almost tethered me through tougher times in life when I might have let that part of my life sit on the back burner. A big part of narrowing down a niche is getting to know yourself a better. It is like pinpointing your personal fashion style. It takes time and paying attention to the things you are drawn to. In the online world it can be tempting to imitate what seems to be working well for someone else. Just remember, it takes some time to appreciate that God made you different with your own unique stories, personality, talents, and experiences – it will take some trial and error to determine how you want to curate and share that. If God is pulling you to sharing your life online and offline, he wants you to share the distinct person he designed you to be. 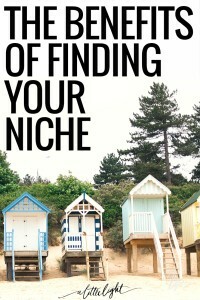 Finding your niche will help you identify your distinctions. Think of two or three themes of your own living/business/products/lifestyle. What are your most used Pinterest boards? What do you find yourself often googling to teach yourself? What are you always talking to your friends about? What blogs to you go to for inspiration? What books/music/podcasts/shows etc are you regularly drawn to? What advice/issues do your friends come to you for help on? What do you need more/less of in your life? What is a mindset you strive for in your job/daily life/habits/relationships/etc.? What are your core values of your life, think of specific topics like parenting/business/life/home decor/art/etc.? Demographics are a simple way to unite a group of people. Any niche factoring in demographics usually aligns with the demographics of the blogger as most readers want to read something they can relate to. However, there are broader demographics like location, occupation that might also be part of your theme. Don’t let this limit you though, people are drawn to a unique voice and shared beliefs before something like marital status and age. It can take most bloggers years to find their own writing voice. But for those with vibrant, appealing and uniform voices, this can be all of, or part of, their theme. 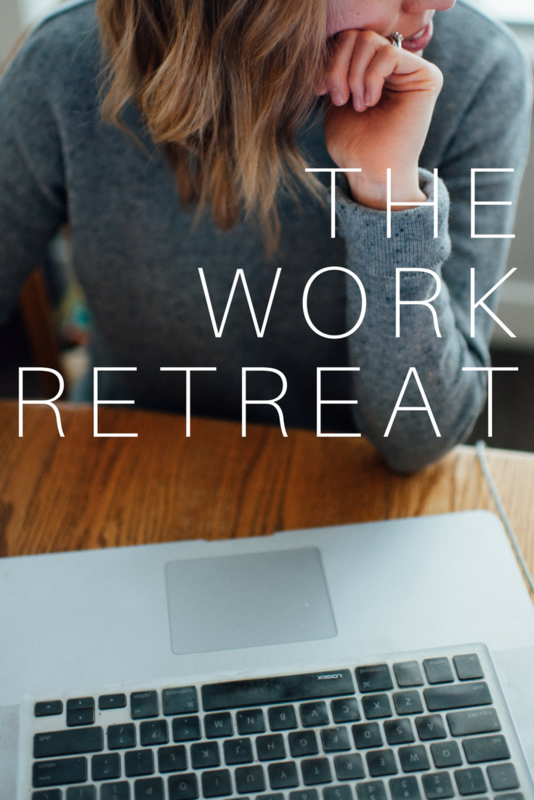 Some bloggers with strong, consistent and engaging voices are Sarah Bessey, Bower Power and the Everywhereist (Geraldine). Even take the Alison Show, for example, she has a very distinct, entertaining voice and readers are there not only for her stellar content but how she writes – she is able to branch out from ‘party planning’ to ‘all things awesome’ because her writing is plainly enjoyable to read. Wine + Sarcasm + Women without Kids = WINE. all the time. How to Decide What to Blog About by Amy Lynn Andrews. If you want to niche it all! Sure, go for it. You might wander aimlessly or it might feed a creative inferno in your life. If you are going to write on everything, it might help to have a landing page (perhaps on a self-named domain) with a menu of your different categories/topics. Another option might be to have a few different sites. If you can’t think of a theme, or are noncommittal, then don’t sweat it. Just start writing and creating. If you feel that drive to serve an audience, online or offline – then just go. Ask God for his guidance, inspiration and motivation. Know that starting a blog or business, putting yourself out there, always means you will try things that won’t work. You won’t be great, or even good, all the time. It is a rare story to hear of a blogger/business owner/etc. who nailed it all from the beginning. Wandering is sometimes God’s intention for us, rather than laying down the broad smooth road, he gives us a map that points right to him and off we go into the unknown. Some of the best advice I’ve heard/read on how to find a blog theme and creating content and campaigns around these themes has been from Kristy Ellington who runs the Fempire Academy. She also has a podcast, closed free Facebook group and paid business membership group. (No, this post isn’t sponsored by her, I just want to give her props for inspiring this post and putting out great, practical content). This is so helpful! I have really appreciated your posts as I have begun to wade into the world of blogging. I am currently working with a web designer to create a new platform for my writing. So appreciate your perspective and the effort you put into this site. Thanks! So helpful! Taking notes as I work with a web designer to get my new platform up and running… thanks for all of your hard work!